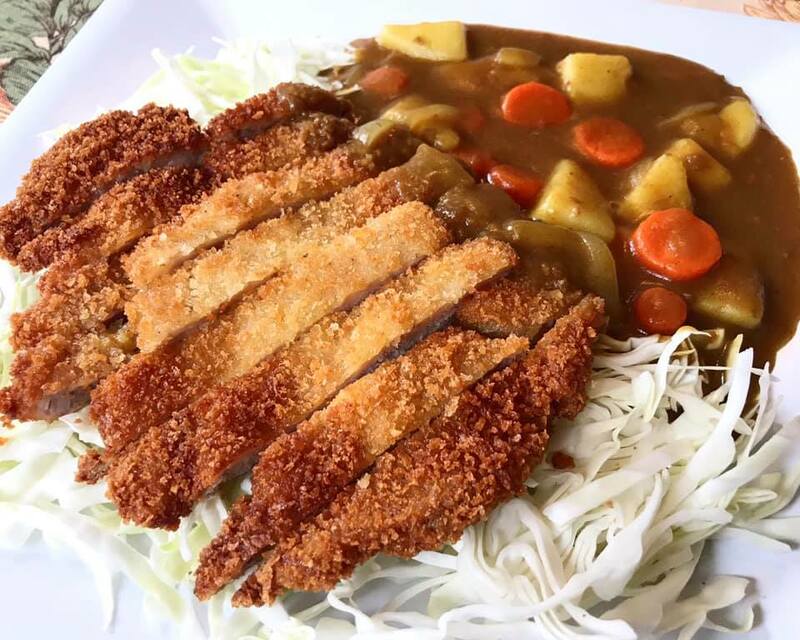 Chicken Katsu Curry is a delicious Japanese dish made of crispy fried chicken in a rich curry sauce. 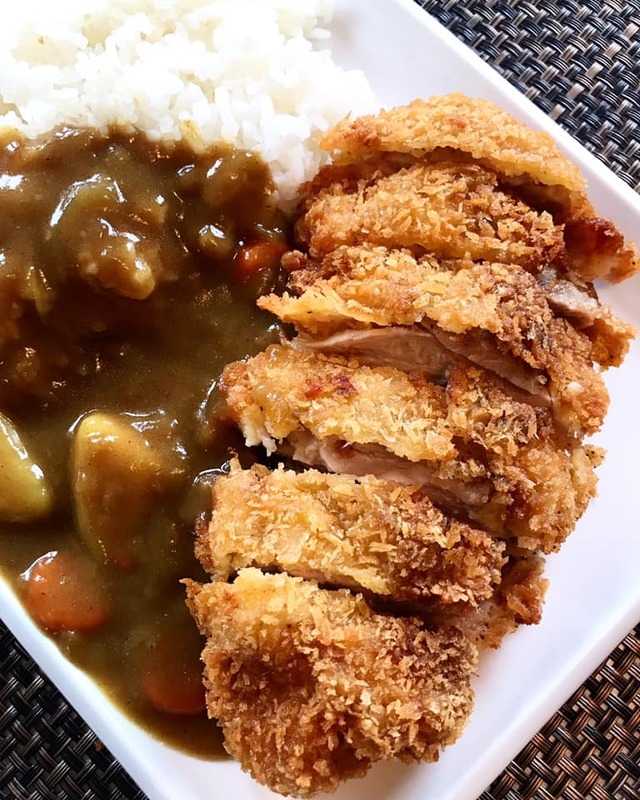 Chicken Katsu Curry is one of our many favorite Japanese food. Now, no need to drive far or order out, I got the right recipe here. Who does not love a good curry anyway! 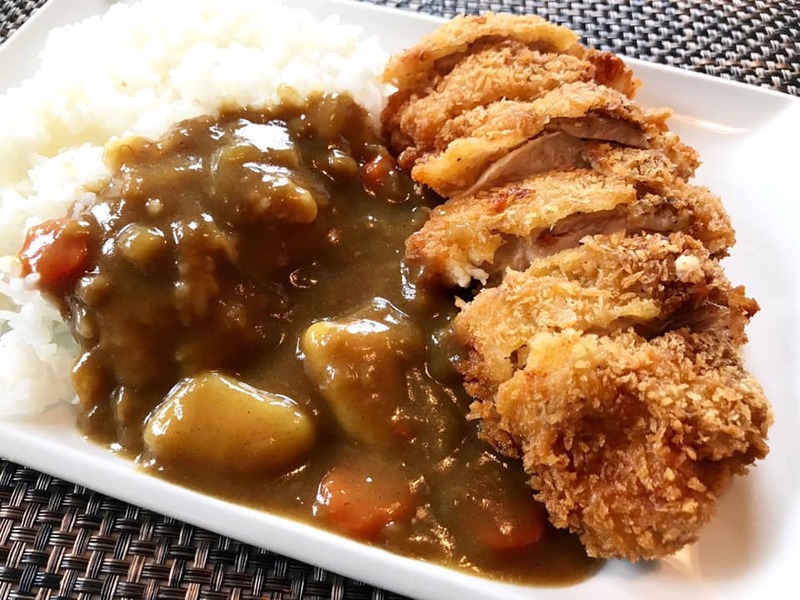 If you like Chicken Katsu Curry, you'll be surprised how easy it is to make using store bought Japanese Curry Sauce mix. I know, some say homemade sauce is always better but why go the extra length when you can make it the easier way and taste as good or better than take out. Japanese Curry Sauce mix comes in medium hot, mild and hot. You can purchase Japanese curry sauce mix from Amazon and in most grocery store at a reasonable price. 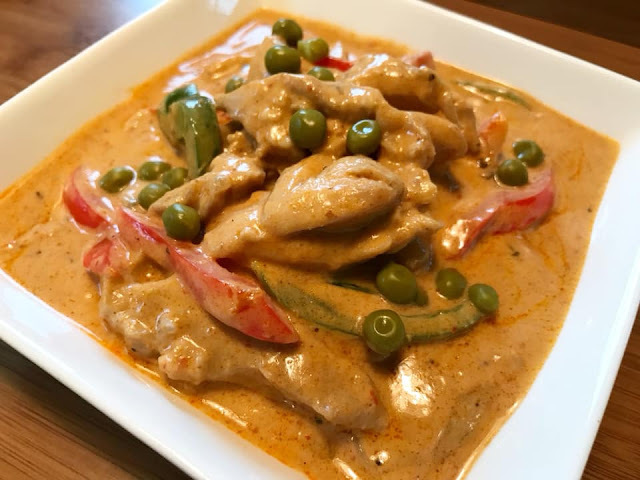 A box of 8.4 ounce S&B Golden Curry Sauce Mix cost me less than $3.- and it can feed a family of 3-4 cooked with a pound of meat and vegetables. I simply add potatoes, carrots and a can of chicken gravy to the curry sauce and it turned out really good. I should know, my husband who is a picky eater loved it. This sauce is excellent when served over fried or grilled meat over rice. Chicken Katsu is made by coating the seasoned boneless chicken thigh in flour, egg, Panko Breadcrumbs and deep fried till crisp. Serve it with steam rice or salad and top with curry sauce mix. You can also use the same coating ingredients not only with chicken but also with pork chops. 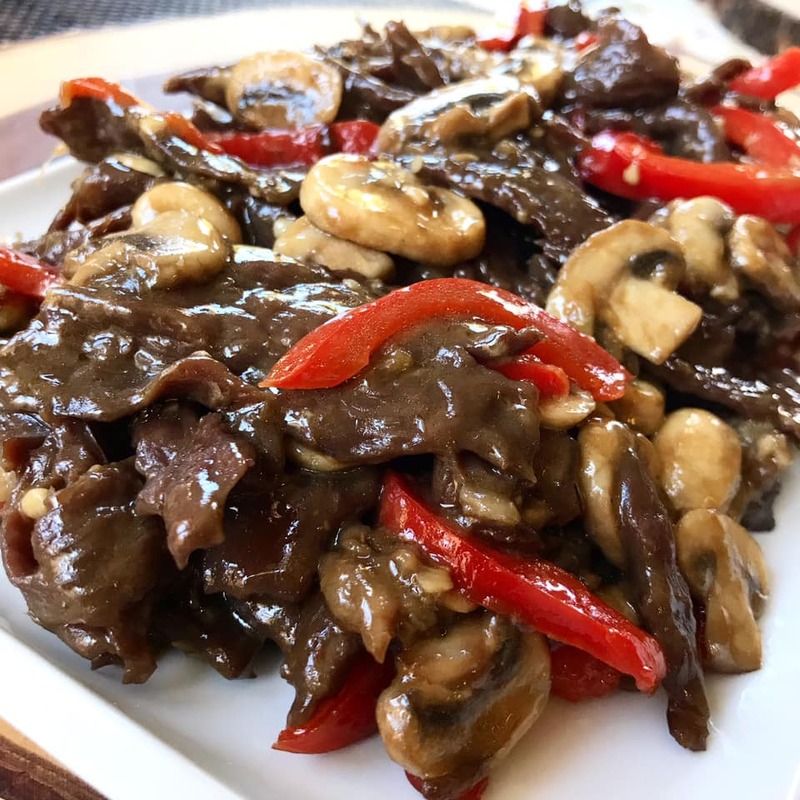 This recipe is worth a try so add to your list or grab some Japanese curry sauce mix on your next trip to the grocery store or just order it from Amazon (links below). Make this easy Chicken Katsu Curry dish and share with family and friends. 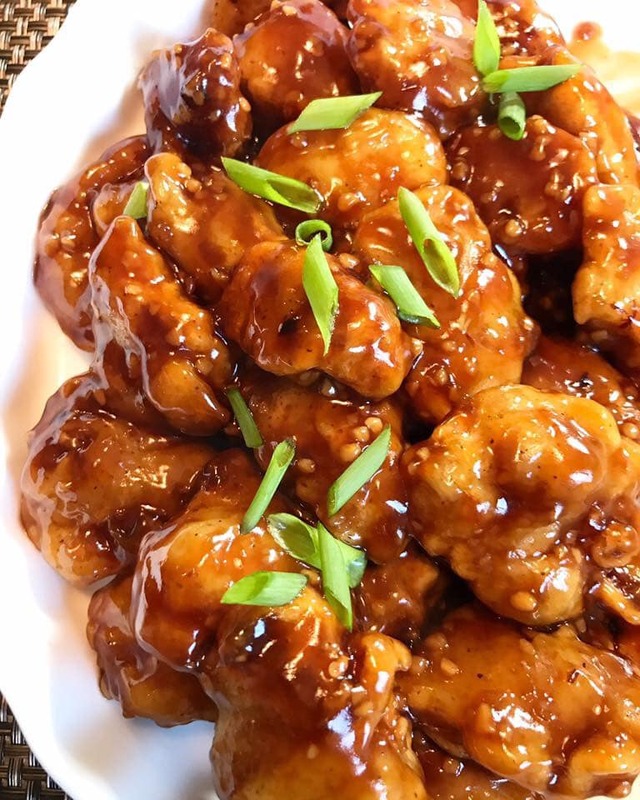 Don't forget to check related recipes below. Coat chicken or pork chop with flour, egg then breadcrumbs. Set aside. 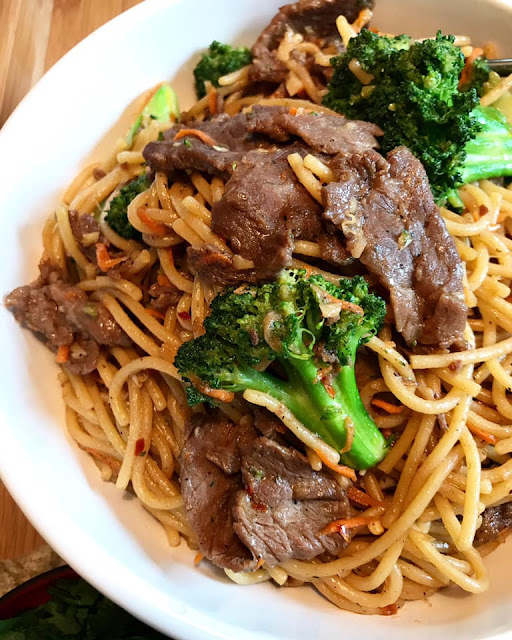 In a wok or a deep pan over medium-high heat, add cooking oil. Fry each piece of coated meat for 2 minutes and turn over. Fry for additional 2 minutes until it turns deep golden brown. Remove and drain excess oil. Set aside. Heat oil in a medium sauce pan. Add onions, carrots and potatoes. Stir and cook for 2-3 minutes. Add water and stir. Cook for 5-10 minutes or until vegetables are half way cooked. Add gravy and stir well to combine. Simmer for 5 minutes in low heat while stirring occasionally. Add curry sauce mix and stir until sauce mixes are completely melted. Simmer for about 5 minutes while stirring constantly. Serve hot over or side of rice or shredded cabbage and fried chicken or pork chops. Enjoy! (click name link below the picture to see complete recipe(s).